Renton Smile Dentistry provides complete dental services for families just like yours. Using the best technology possible, we’re able to provide shorter treatments with the most predictable outcome. From porcelain crowns to wisdom tooth extraction, we have everything you need to keep your smile healthy. Ask about our efficient and gentle root canals! 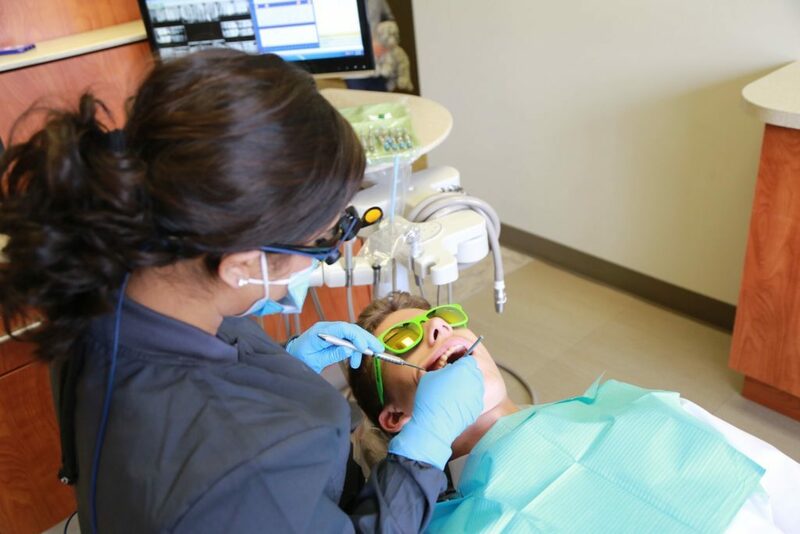 We offer a 3-year warranty on all restorative procedures. With great preventive care and early intervention, we can show you how to care for and maintain your natural teeth for the rest of your life. Experience renewed self-confidence with a customized smile makeover with gorgeous dental veneers, whitening, bonding, and more. 0% financing is available. Our Renton dentist and a local prosthodontic specialist provide in-house comprehensive dental implants so that you don’t need to be referred elsewhere. All-on-4 implants are also available! There’s no need to take your kids to a separate pediatric dentist in Renton. Our family dentist treats patients of all ages, starting as young as one year old. In pain? Call immediately. Our policy is to see all emergency patients on the same day. Our positive environment and upbeat team will always put your needs first. We want you to feel comfortable and confident about your experience with us. If you have high dental anxiety, we also offer laughing gas and anti-anxiety medication to help you relax. No insurance? Be sure to ask about our in-house discount plan to save on all of your dental needs. Call Renton Smile Dentistry now at (425)687-8860 to schedule.